Ten years ago, right about now, in the lull between Christmas and New Years, something magical happened to me. There were no work deadlines, no personal emergencies and I was reading Ursula Le Guin’s collection of essays on fantasy and science fiction, The Language of the Night. One of the essays hit home for me and made clear what I love so much about speculative fiction (science fiction and fantasy). The power it has to boldly go where other types of fiction can’t go. Putting a story in another time or another world allows us to look at things with a clarity and perspective we don’t achieve with real world stories. The speculative portion provides much needed distance. I remembered a story I had started in 2003 and pulled it back out because it was just the kind of story Le Guin was talking about, something I had started but never finished (like everything up until that point). I started writing, for the first time in five years, and had one of the most amazing creative experiences of my life. 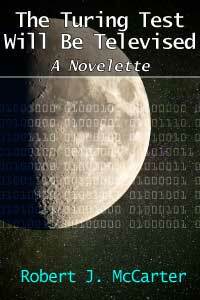 The story poured out of me, I couldn’t type fast enough. It was a high, a rush, one of those “peak” experiences. Before that, the doubts and second guessing just got in the way, and while I really wanted to write, I just couldn’t finishing anything. This moment left no choice, the creative forces just shoving my ego aside and forcing me to serve the story. It wasn’t about me, it was about the story (an important lesson, that). This event, which has never happened quite like this again, was my creative brain sucker punching me and changing my life. I was knocked into a different reality and I am grateful. Since then I’ve written over a million words, have published six novels and two short story collections (with more coming very soon), completed nearly 100 short stories and novelettes, appeared in a bunch of anthologies, and found an enduring passion I hope to be doing for decades more. Don’t get me wrong, being a human, I’ve still got an ego and it can still make the writing difficult and having this second career on top of my day job keeps me extremely busy, but I wouldn’t change it. I am always happiest when I am being the most creative. With writing I can explore my hopes and fears, create new worlds, and be constantly amazed by the stuff my subconscious comes up with when I get out of the way and let it flow. That story I mentioned above is called “The Turing Test Will be Televised.” It uses sci-fi to explore grief and what we will accept to assuage our grief. It also pokes fun at reality TV shows and the invasive nature of advertising in our society. So, thanks to Ursula Le Guin for all her amazing writing and the catalyst it was, to my wife for her constant support over this decade long journey, to my mentors and teachers who have helped along the way, to my editors who have improved my stories, to my beta readers and proof reader who find all my crazy mistakes and make me look good, and everyone that have given their precious time to read one of my stories. 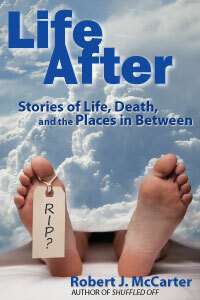 To make that gratitude more concrete, I am putting my first short story collection Life After: Stories of Life, Death, and the Places In Between on sale for $0.99 on Amazon for the next month. This collection contains “The Turing Test Will be Televised” as well as nine other stories, plus some reflections from me on each story. Go check it out! So onward! There are more stories to tell.